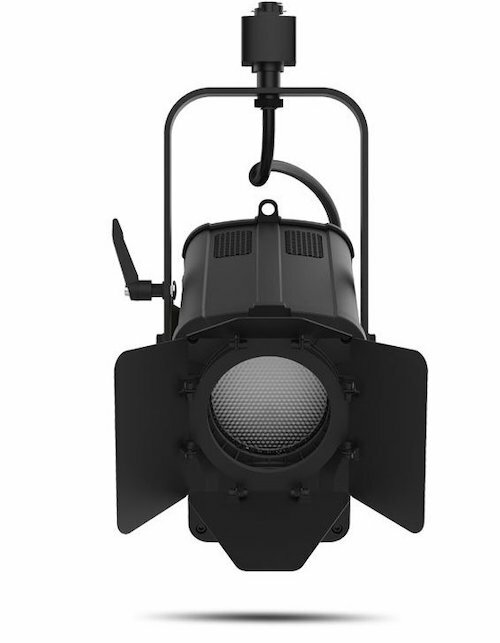 For highlights on-set or for the control/edit rooms, Chauvet Professional’s Ovation FTD-55WW is a track mounted, warm white LED (3-inch) “inkie” Fresnel-style fixture. This fixture projects a bright, beautifully soft field of light within a 30º – 69º field angle controlled by a manual zoom allowing you to add light where needed. A barn door for the fixture is included to help shape the light and direct the light. Chauvet’s latest showstopper remains the Ovation series, now in available in variable white—the Ovation E-930VW (ellipsoidal) and Ovation F-915VW (Fresnel). This proprietary LED engine works differently than one might expect. 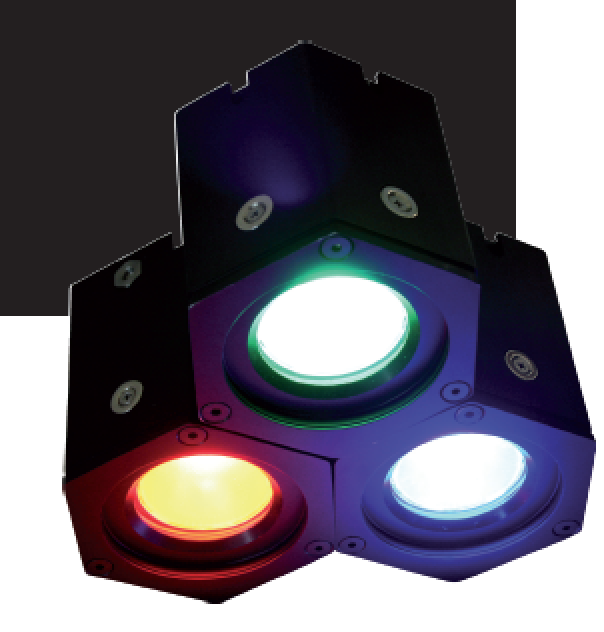 Chauvet uses a 6-color system to create exceptional color consistency in a flat and even field from 2800K to 8000K, as opposed to the more traditional method of mixing warm white and cool white LED’s. The independent color control also creates the ability to add a dash of color when desired. With the ability to change color temperature at 100K increments without losing intensity, it is all about consistency. Other functions include onboard manual control or DMX control, +/- green adjustment, 16-bit dimming, near silent operation, and adjustable Pulse Width Modulation to avoid on-camera flicker. As an added bonus, the Fresnel also features a motorized zoom. 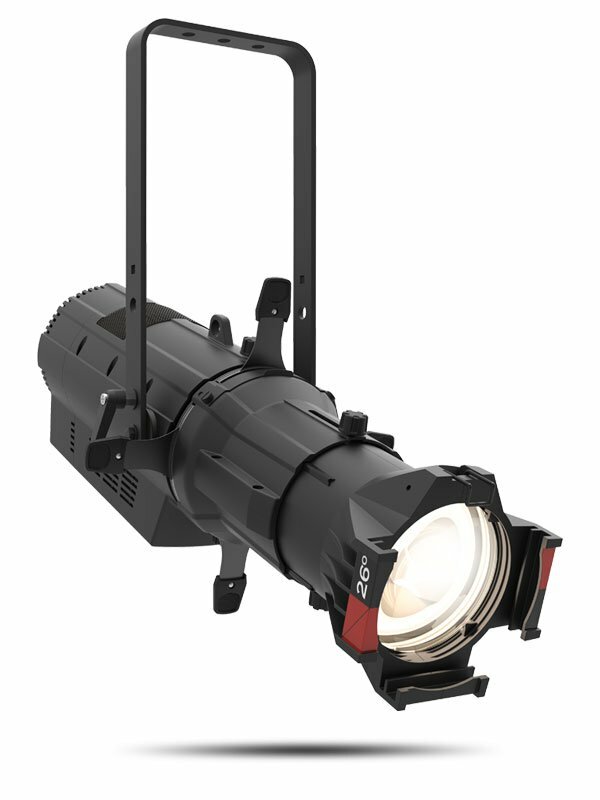 Overall, these fixtures provide simplicity and power at once, an ideal solution for studios and theaters alike. Most importantly, they are now shipping! This year Coemar debuted their new 6-color LEDko engine: Red, Green, Blue, White (5600K), Lime & Phosphor Corrected Amber. The goal in mind is an all-in-one fixture for Studio & Theatrical applications – a fixture capable of intensely saturated colors without sacrificing the punch of the whites. The purpose of the Lime and PC Amber is to help flesh out the Red, Green and Yellow spectrum as well as producing high CRI’s above 94 throughout the range of whites. Depending on the mode it’s used in, the new LEDko FS6 can be used as a color changing, variable white (2700K – 6500K) or an all-in-one fixture! 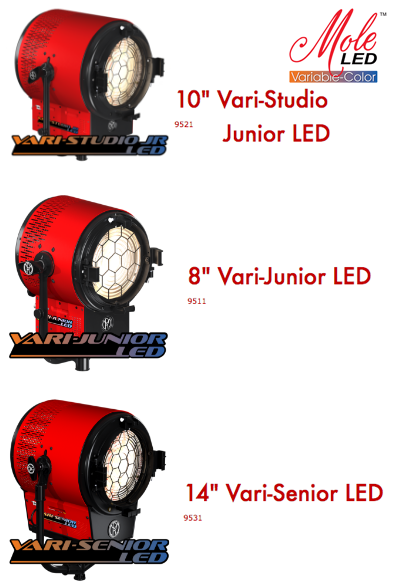 Also new to the product line are an LED Spot and Fresnel moving head. The LEDko TM FS6 uses the same 6-color engine as in the LEDko F6 in addition to the characteristics expected in an intelligent profile: Zoom (13-38 degrees), Internal Framing Shutters, Iris, Frost Filter, Pan & Tilt. 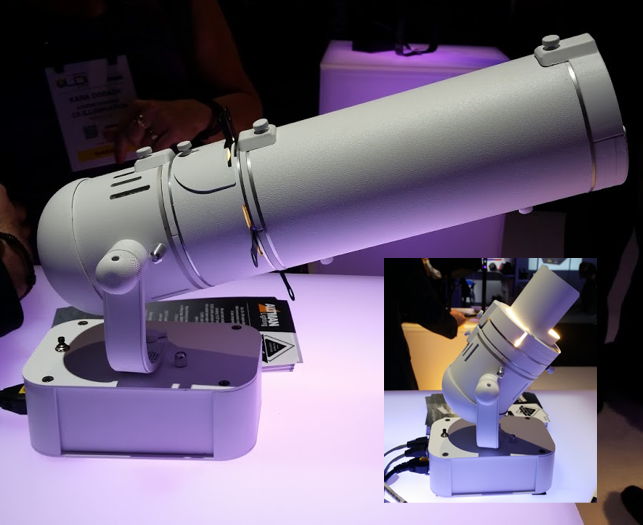 The LEDko TM Fresnel is available in either Tunable Tungsten (2700K – 4100K) or Tunable Daylight (4100K – 6500K), both of which include RGBW LED chips, Green/Magenta manipulation, Proportional Zoom (13-65 degrees), Internal Barndoor Framing System, Pan & Tilt. These will begin shipping in Q1 2018. 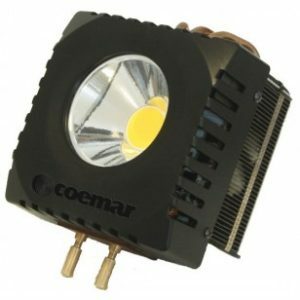 Coemar had several products come out more suited to the architectural markets, including the Pixel LED, ParLite ACL and LEDko EXT II. The idea behind the Pixel Light is a RGBW IP65 rated fixture that can be quickly assembled through either magnetic or mechanical connection to form any kind of composition. Think legos with lights! 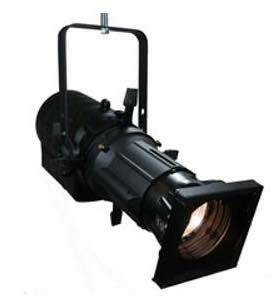 The ParLite ACL is a very punchy parlite with a 3 degree narrow beam for uplighting from a distance. 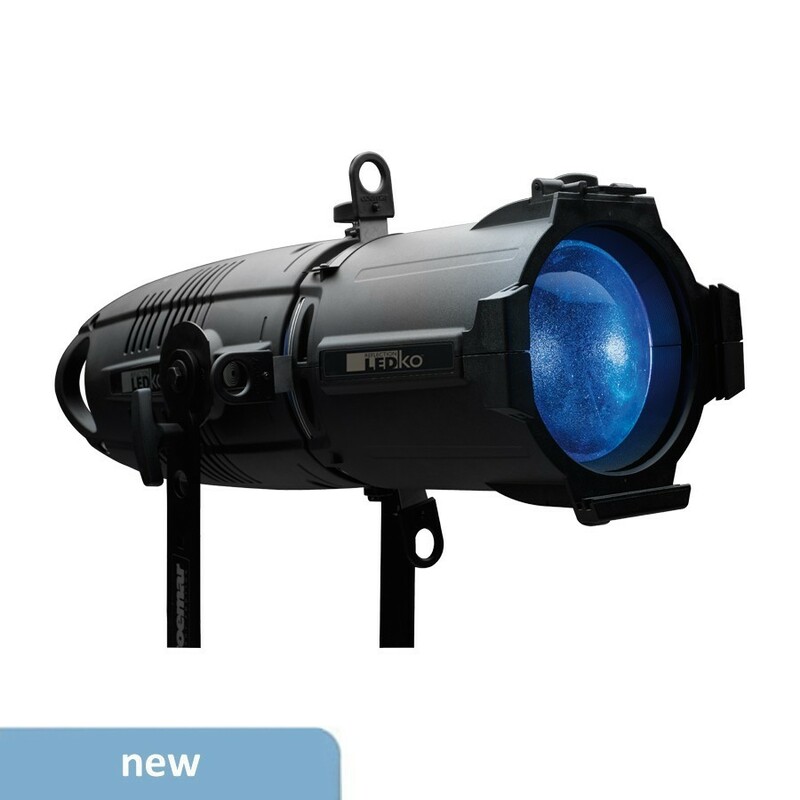 The LEDko EXT is a completely IP65 rated LED profile with 13-40 degree zoom, gobo holder and internal shutters, available in RGBW, Daylight or Tungsten. Last but not least, Coemar came out with an economical solution for upgrading tungsten fresnels to LED while preserving your existing dimming system. Coemar’s 1K retrofit is available in Tungsten or Daylight with CRIs above 90 and flicker-free dimming from 100-10%. Though only available in a 1K engine with an optional G38 adapter for use in 2K, Coemar plans to introduce a 650w engine by the end of the year and a true 2K retrofit sometime in 2018. 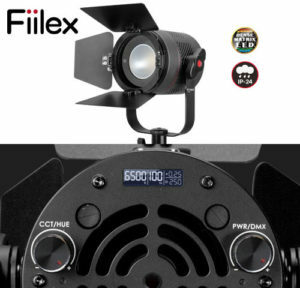 Fiilex released their new P360 Pro and P360 Pro Plus portable LED lights at the NAB show this year. Fiilex has upgraded both fixtures, both include a swanky new OLED display to show precise CCT, hue (for Pro Plus), intensity, and DMX levels. They’ve also made some physical improvements to include a longer yoke, accessory lock, and deeper spigot. P360 Pro is the next-generation version of Fiilex’s flagship portable LED light. This 400W-equivalent fixture takes everything that made the original P360 great and brings it to the next level. The CCT range has been expanded (2800-6500K) and dimming now runs from 0-100%. The Pro maintains top-tier CRI (>93) at any setting. Weighing under two pounds, the weather-resistant (IP-24) P360 Pro and Pro Plus are designed for travel, but it can also be easily integrated into DMX setups with its onboard DMX functionality. Fiilex offers a wide array of accessories, ranging from magnetic fresnels and diffusers, to softboxes and larger fresnel attachments. With these light modifiers, the Pro Plus can be turned into a broad fill, a powerful spot, or anything in between. 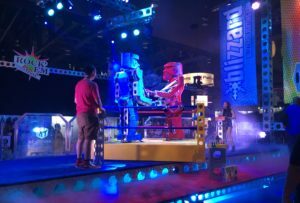 As always, Blizzard Lighting was keeping things “cool” for their LDI 2016 presentation joining forces once again with the folks from ModTruss to create a truly unique experience! 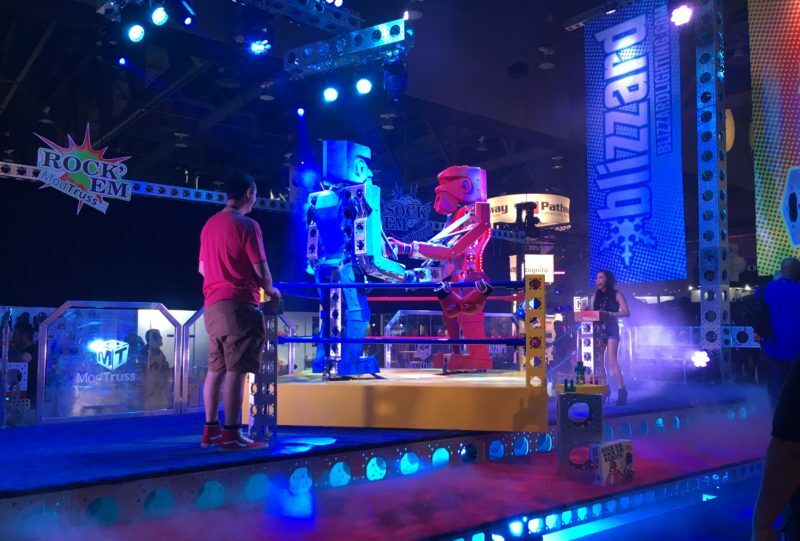 A life-size, working replica of the classic “Rock’ Em, Sock’ Em” Robots was the perfect centerpiece to showcase some creative new products from Blizzard Lighting. A new product line called Oberon was launched adding Fresnels and Profile fixtures including a 200w, High CRI LED with Motorized Zoom fixture perfect for studio and theatrical applications. 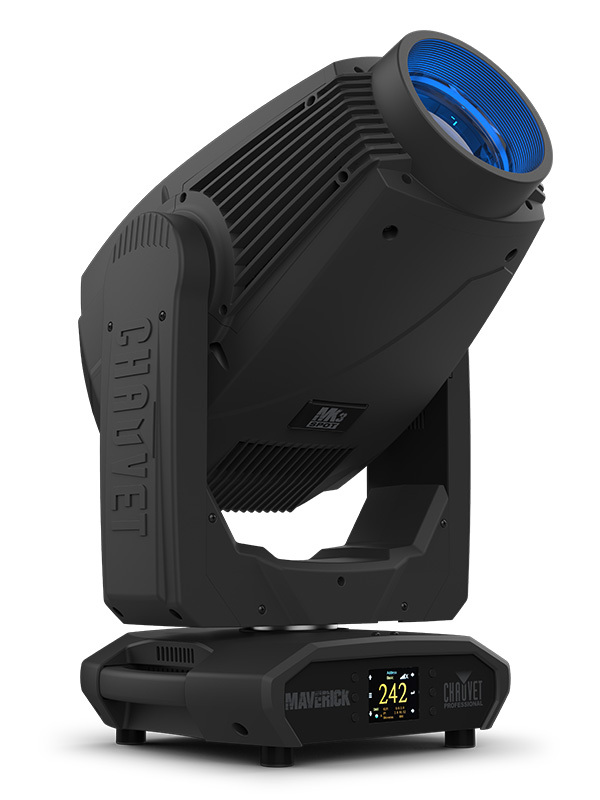 A number of new additions to their moving head family were introduced like the 3-in-1 Beam/Spot/Wash 350w CMY Kryo.Mix fixture and Stiletto Beast LED Beam/Wash. 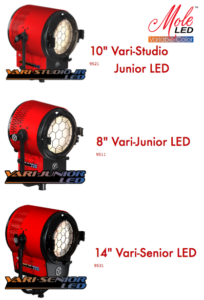 New LED solutions were added to their catalog of fixtures like the interlocking dual LED Beam Fixture with Aura Effects called Look and ProPar 17 LED Wash/Beam. 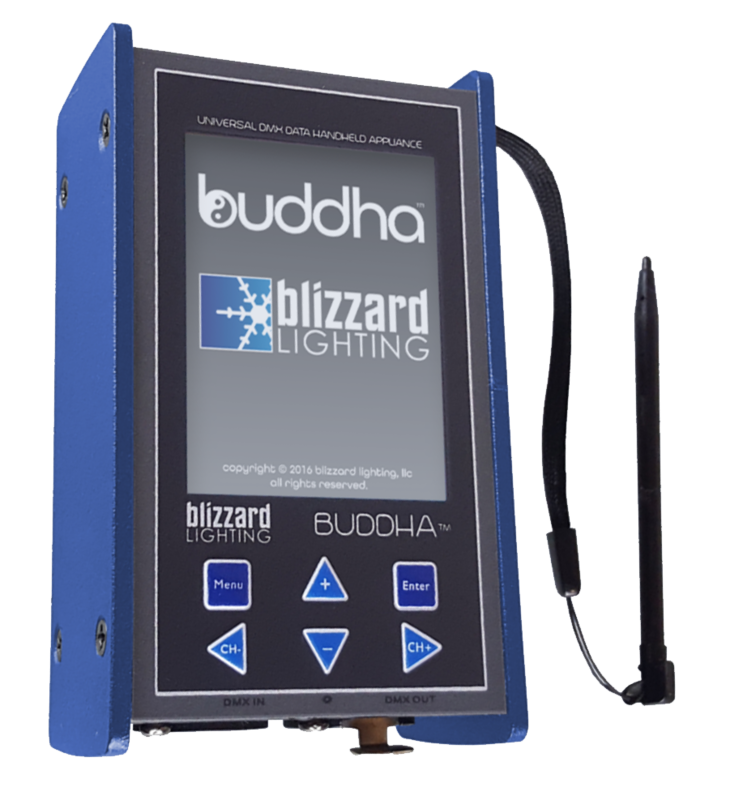 Blizzard Lighting also introduced their DMX Measurement Tool called Buddha with its versatile functions and user-friendly 6-button + full-color TFT touch screen display, Buddha is fully equipped to measure, test, and troubleshoot any application with DMX controlled lighting. 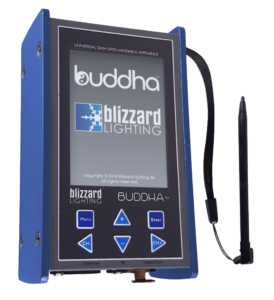 Blizzard Lighting also introduced their DMX Measurement Tool called Buddha with its versatile functions and user-friendly 6-button + full-color TFT touch screen display, Buddha is fully equipped to measure, test, and troubleshoot any application with DMX-controlled lighting. 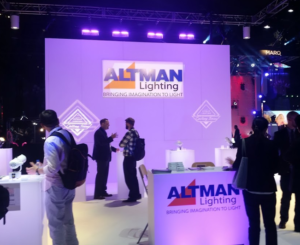 Altman – This year’s Altman booth was built around their core LED products. Spectra Cycs and Chalice units provided wash and down light accents. New to the booth this year were a few notable products which include the Altman PHX1 150w, the Pegasus, and the recently released Gallery series fixtures. The Altman PHX1 150w is the convection cooled version of the PHX2 250w. For those environments where fan noise is a deal breaker, the PHX1 150w solves this issue. The unit is available in all the same configurations as the PHX2 (RGBA, RGBW, 3k, 5k, 3k/5k variable) and with the same options for 5, 10, 19, 26, 36 and 50 degree barrels. The light output is comparable to slightly less than a HPL575 source. Speaking of the HPL lamp, did you know you can convert many of your older Altman fixtures including the 65Q to an HPL source? If you have Altman fixtures that you would like to change over to HPL lamps, contact your Barbizon sales person to check if there is a retrofit kit available for your fixture. For those who missed the Pegasus Fresnel last year, it was on display again this year. 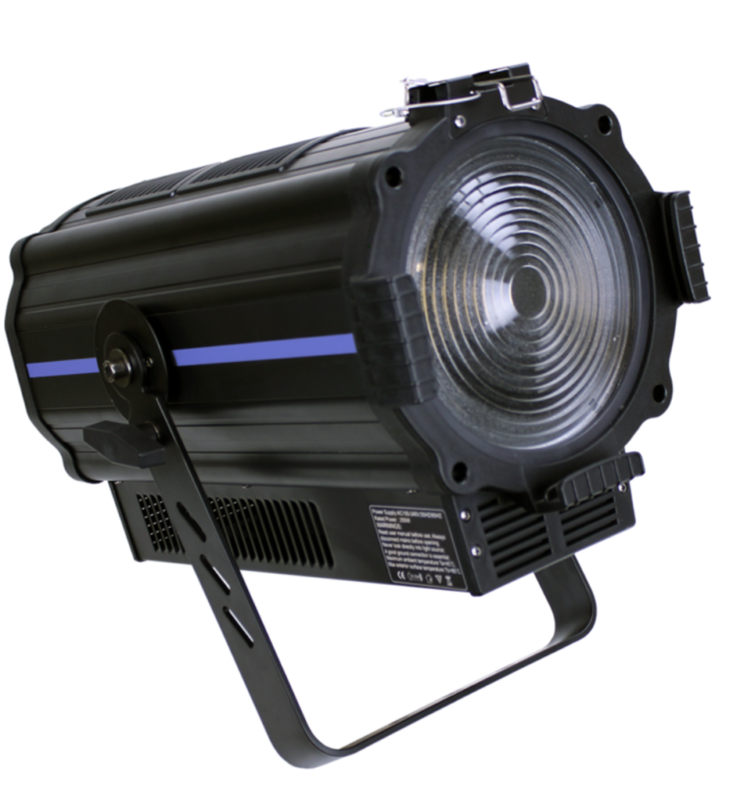 The Pegasus is a truly versatile fixture with its 15-85 degree zoom and ability to function as either a mains dim or DMX dim unit. The Pegasus is available in 2700k, 3000k, 4000k and 5000k. 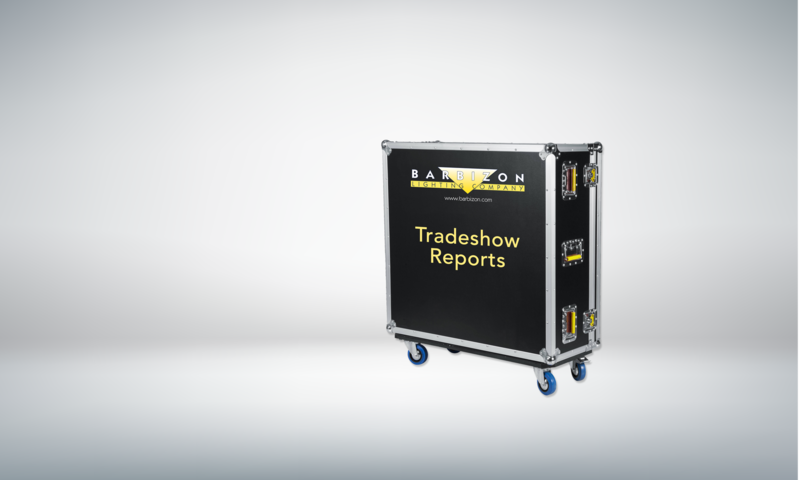 The 6” and 8” will take the standard 6” and 8” Fresnel accessories including barn doors and top hats that may already be in your stock. Finally, the newest fixture to the booth was the new Gallery series. Available in a profile, beam wash or flood option and the standard variations of color temperatures. The profile units come in either a 15-35 degree or 25-50 degree zoom. The Gallery series provides a sleeker looking fixture for those museum or upscale architectural projects. Dimming options include mains dim, DMX/RDM, 0-10v or DALI. The Gallery series can be used along with Altman’s Smart Track or in a portable, pendant or surface mount set up.